It's not the "Rocky" statue. But it's as close as you're going to get. TMZ recently reported that SCP Auctions is taking bids for an authentic replica of the sculpture honoring the famous fictional boxer that sits outside the Philadelphia Museum of Art. The statue had been on display at the San Diego Hall of Champions, but that museum has closed. 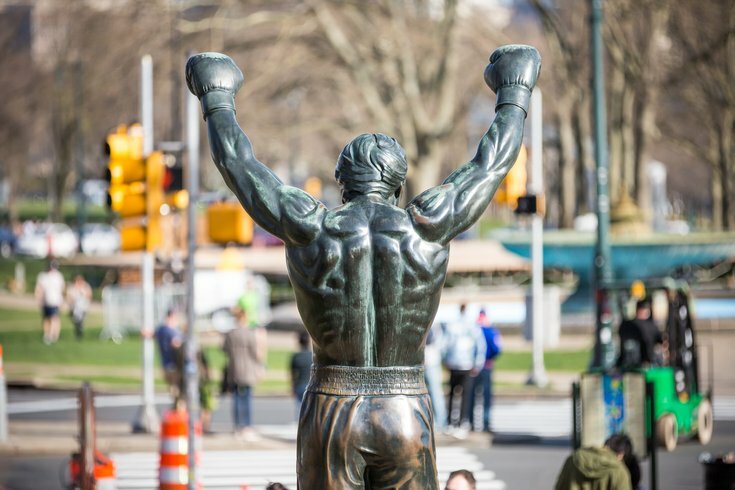 According to SCP, the statue it has is one of three identical replicas of the 12-foot-tall, 1,800-pound bust created by sculptor A. Thomas Schomberg for "Rocky III." In the 1982 film, the statue is unveiled at the Art Museum – where it still stands today but in a different spot than in the film – when Clubber Lang, played by Mr. T, challenges Rocky to a fight. A representative for SCP told TMZ it expects to fetch around $1 million for the statue. Bidding ends Nov. 4, but that estimated price tag is already scaring away prospective buyers — namely Jennifer Flavin, Sylvester Stallone's wife.